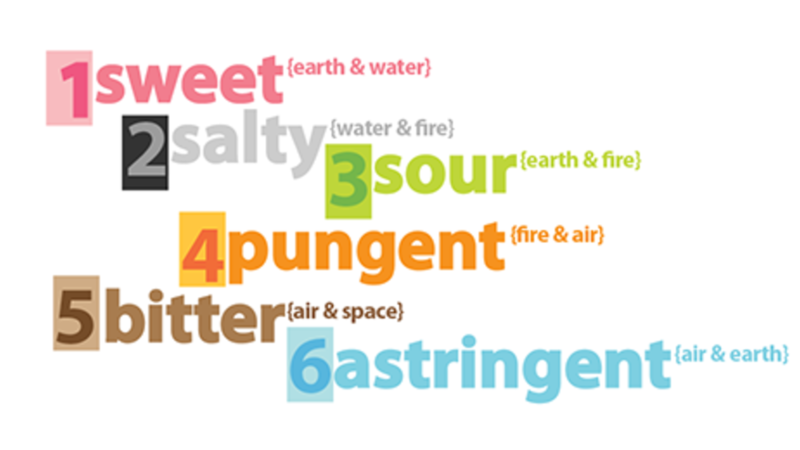 The tastes that balance kapha are: pungent, bitter, astringent. "How do I know which foods are which tastes?!" Below are some examples of the foods for each taste. If you'd like more details, I dedicate 3 chapters to nutrition in my book In Your Elements. What foods are best for the doshas? Vatas need more of the carbs, dairy, fruits and a little meat. Vatas need less vegetables, hot spices and bitter things like coffee. Pittas need carbs, dairy, sweet fruits, a little meat (non-red) too. But they also need a good amount of greens for the bitter and astringent tastes. A very spicy meal will leave them overheated. Kaphas do best with spices and a good amount of vegetables/greens to keep them light. Anything too rich, heavy or sweet will leave kapha lethargic and weighted down. 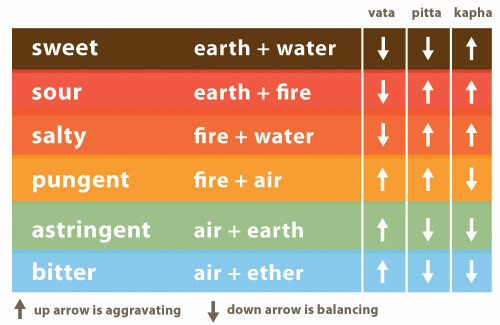 If you don't know your dosha, take the test here. And keep bringing Ayurveda to life!